Achieve a unique aesthetic with custom kitchen cabinets. 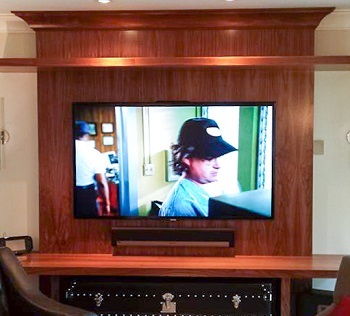 Create a high level of elegance in your home with locally-made cabinetry and custom woodworking design. 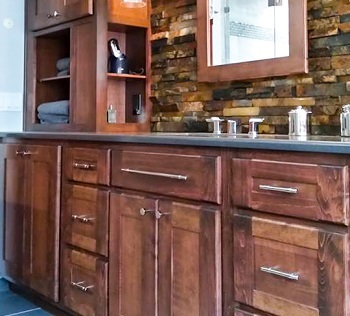 Renovate your bathroom with cabinetry build by a local craftsman. Do you want new cabinets for your home? Let us help you create the perfect design. 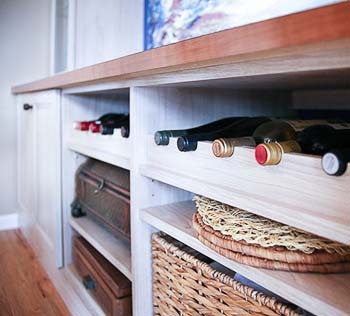 Create a high level of elegance in your home with locally-made cabinetry. Our craftsman provides custom woodworking designs for homeowners and builders in Central New Jersey and Bucks County Pennsylvania. 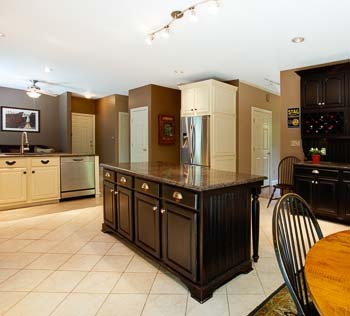 The cabinets are crafted to your specifications and design aesthetic. Every home is different. Each project has custom woodworking design needs. Individual homeowners have their own home design aesthetic. Sometimes pre-fabricated cabinetry from the big box store just won’t fit the unique size and taste of your home design. We love our garage cabinets and could not have asked for better! They look sleek and stylish. They are impeccably made. They are sturdy, spacious and have turned a disastrous mess into custom, handsome organization. My husband’s man cave garage, just became one of my favorite extensions of the house! Jeff also did the installation himself. He is absolutely fastidious in his work. He has a keen eye for detail and makes sure everything is balanced, evenly spaced and clean! Jeff built the kitchen in our previous house, and we are having him make the cabinets for our new kitchen. I highly recommend him! As a builder of single-family and duplex homes, I have purchased kitchen cabinets from several sources. The quality and construction methods used by the various manufacturers have always left something to be desired. One set even began to come apart as we were installing it. The cabinets from Baumann Custom Woodworking I used on my last project were of a quality that exceeded every expectation. Fit/finish and construction were flawless. Premium hinges and drawer slides throughout. Solid construction methods with an abundance of proper fasteners. My installation crew even commented on how easily these cabinets went in. Truly a custom cabinet at a price that fell within my budget. I look forward to working with Jeff on all of my future projects.